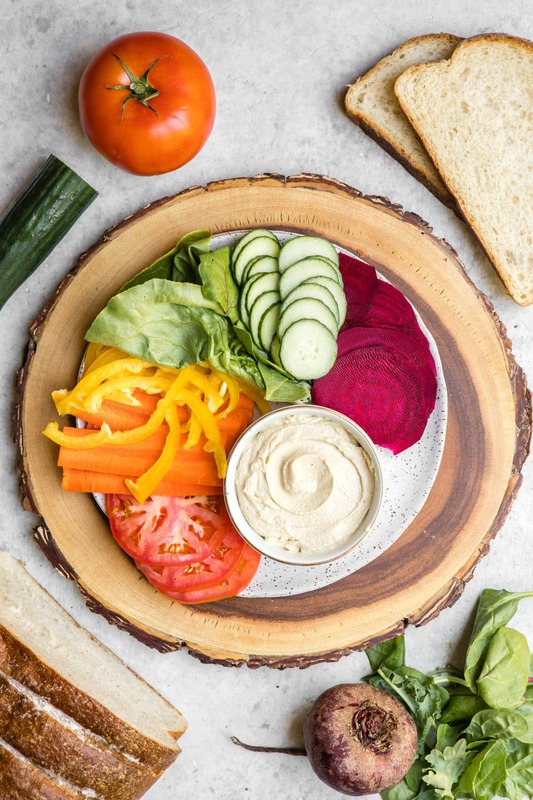 Packed with crunchy veggies and creamy hummus, these Rainbow Veggie Sandwiches are an easy and tasty lunch for both kids and adults! Easily customizable and great for on-the-go or meal prep. To be honest, I have enjoyed and loved healthier foods for pretty much my whole life. No complaints over here, but I do realize that some people don’t enjoy the taste of vegetables or salad greens as much as I do. 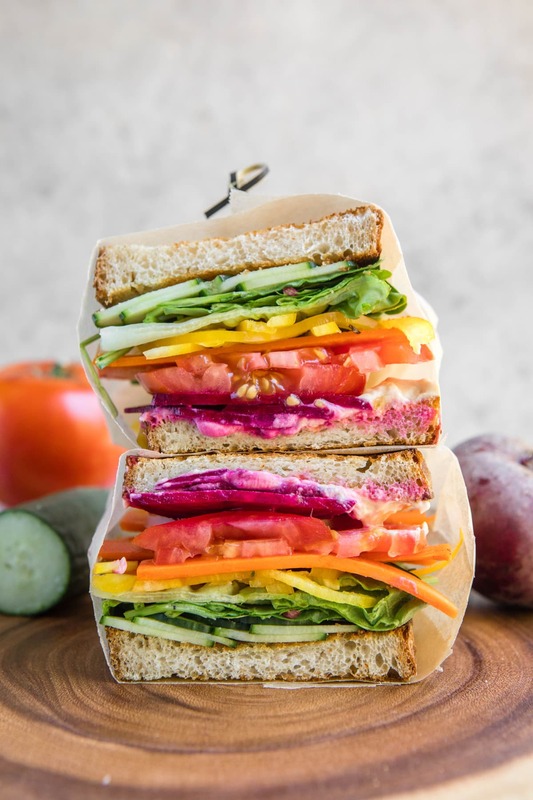 We all eat with our eyes first, and there’s no denying that the veggie rainbow cross-section of these Sandwiches is appealing. 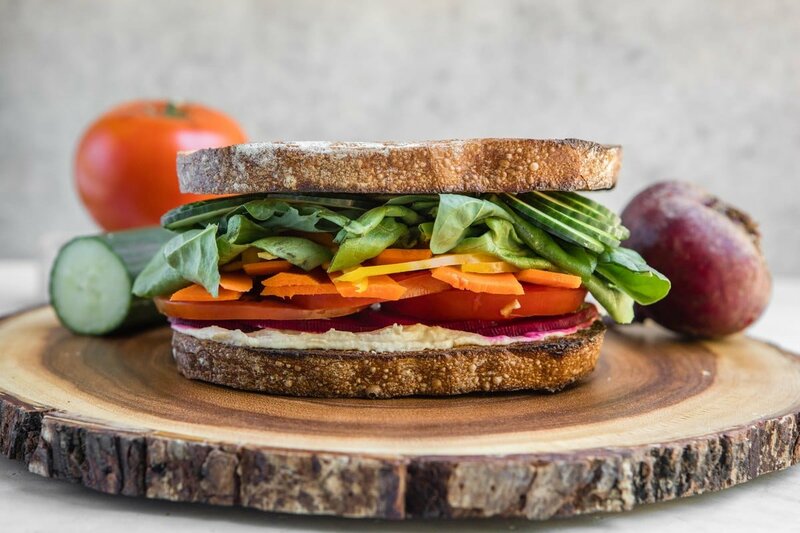 I also think the combination of soft Bread, creamy Hummus, and crunchy Vegetables makes this Sandwich a hack of a lot more interesting to eat as well. No one-note mush here! Just be sure to slice your product thinly to make it easier to chew – I use my mandoline to help with this. 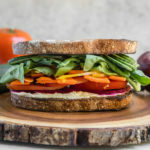 If you’re looking for more Vegan Sandwich recipes, you’ll also love these Chickpea Salad Sandwiches and these Vegan BLT Sandwiches! Finally, if you make this recipe and decide to share it on Facebook or Instagram, don’t forget to tag me @FromMyBowl + #FromMyBowl. 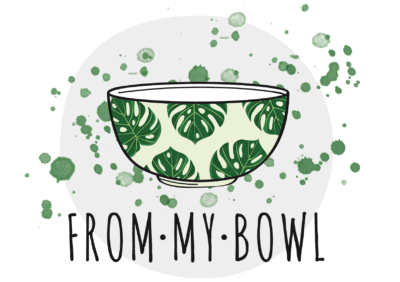 I love seeing your delicious recreations! First, toast your slices of bread, if you’d like. 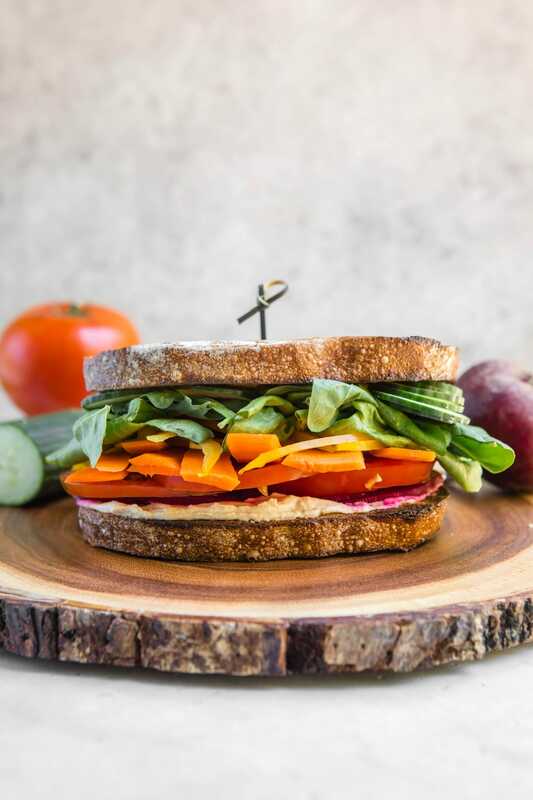 Spread the Hummus evenly onto one side of each slice of bread, then layer the thinly sliced Veggies onto one side of the Sandwich. If you’d like the “Rainbow Effect”, layer them in ROYGBIV order. Close the Sandwich by placing the other side of Bread (Hummus-side-down), on top, then serve as desired! 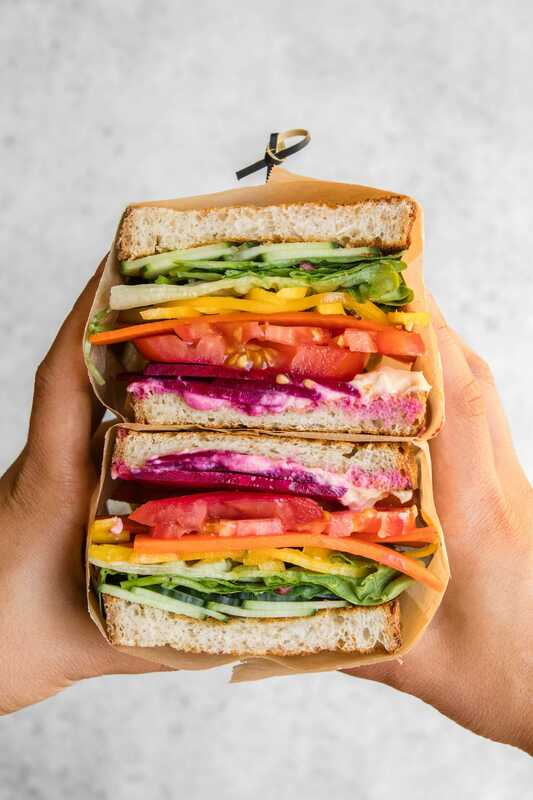 I like to wrap my sandwiches in parchment paper if I am not eating them right away, as I find it helps to hold all of the Vegetables in place. To make my rainbow sandwiches, I used: Beets, Tomato, Carrot, Yellow Bell Pepper, Butter Lettuce, Power Greens, and Cucumber. This is so simple but looks absolutely delicious!! Will definitely be making as a back to school sandwich to bring to lunch! Thanks for the inspiration!! Love this! Quick question are the beets roasted or raw? Thanks for the ideas. Thanks, Cindy! I used raw (just thinly sliced! ), but roasted would work as well!